As many as 27 public sector banks, including SBI and its five associates, in 2016-17 have written off Rs81,683 crore, 41% higher than the previous fiscal New Delhi: Public sector banks have “written off” nearly Rs2.5 trillion loans in the last five financial years, the finance ministry said quoting Reserve Bank of India (RBI) data. As many as 27 public sector banks, including SBI and its five associates, in 2016-17 have written off Rs81,683 crore, the highest in the last five fiscals. The amount was 41% higher than that in the previous fiscal. 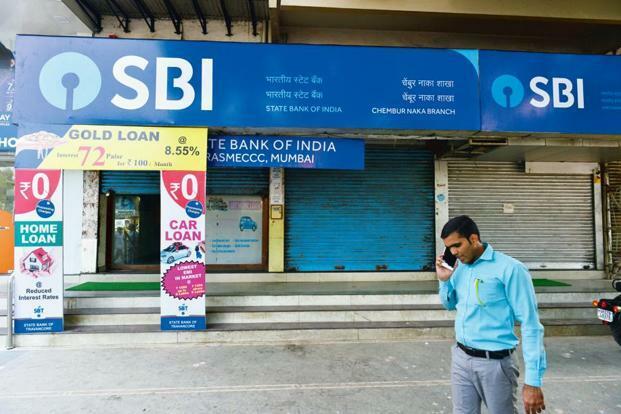 SBI and its erstwhile associates alone have written off Rs27,574 crore in 2016-17, according to the RBI data on “write offs” done by public sector banks. SBI merged its five associate banks with itself from 1 April 2017. The written off amount by PSU banks soared from Rs27,231 crore in 2012-13 to Rs57,586 in 2015-16 and further to Rs81,683 crore in 2016-17. During 2013-14, write off figure was Rs34,409 crore which rose to Rs49,018 crore in the subsequent fiscal. So, the cumulative amount written off in the last five fiscals ending March 2017 was Rs2,49,927 crore. Punjab National Bank has written off Rs9,205 crore, followed by Bank of India (Rs7,346 crore) and Canara Bank (Rs5,545 crore) in 2016-17. Among other PSU banks, Bank of Baroda has written off Rs4,348 crore, followed by Corporation Bank (Rs3,574 crore), Indian Overseas Bank (Rs3,066 crore) and IDBI Bank (Rs2,868 crore). As per the RBI norms, loans are written off after making adequate provisions to take advantage of tax benefits. In respect of technical write-offs, the RBI has permitted write- offs at headquarter level while recovery efforts are still continued at branch level. It is to be noted that the gross NPAs of public sector banks were 12.47% of gross advances as on 31 March 2017. As on March 2016, gross advances were Rs51.42 trillion while gross NPAs were Rs6.41 trillion. So as a percentage it works out to be 9.83%. The CPI(M) has demanded an explanation from the BJP on state-run banks loan write off to the tune of Rs81,683 crore in 2016-17. Reserve Bank of India's earlier clarification on write off's. ‘Writing off’ of non-performing assets is a regular exercise conducted by banks to clean up their balance sheets. Substantial portion of this write-off is, however, technical in nature. It is primarily intended at cleansing the balance sheet and achieving taxation efficiency. In ‘Technically Written Off’ accounts, loans are written off from the books at the Head Office, without foregoing the right to recovery. Further, write offs are generally carried out against accumulated provisions made for such loans. Once recovered, the provisions made for those loans flow back into the profit and loss account of banks. The data published in the above news item is the total write-off made by banks, which includes a large portion of technically written off accounts where the recovery efforts continue as usual.